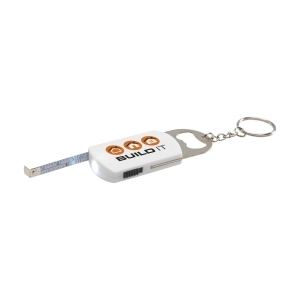 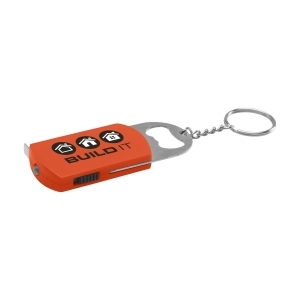 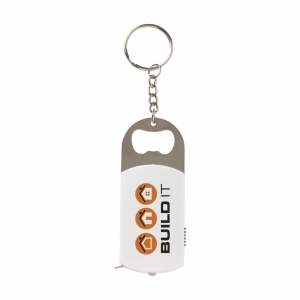 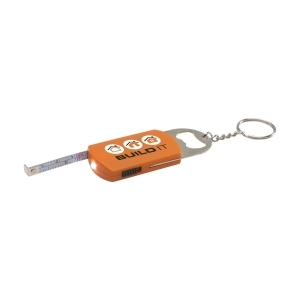 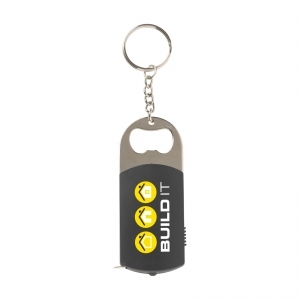 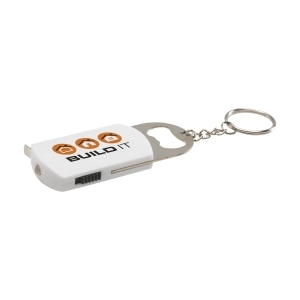 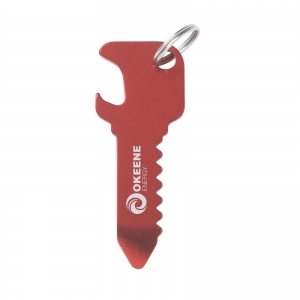 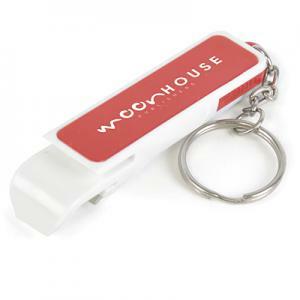 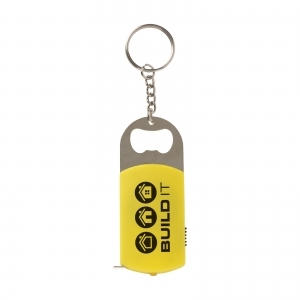 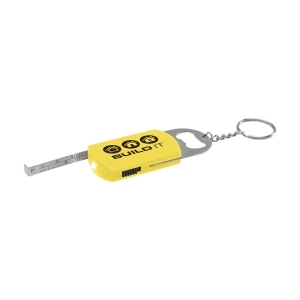 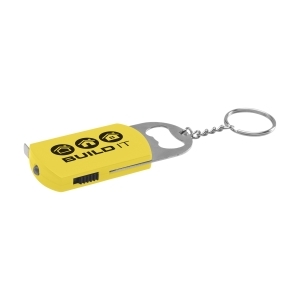 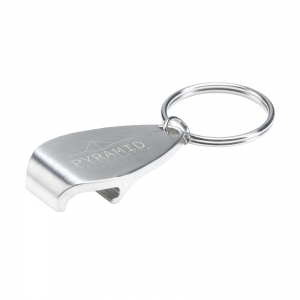 Multifunctional key chain with sturdy key ring, bottle opener, energy efficient LED light and measuring tape showing inches and centimetres (length 100 cm). Batteries incl. To order an unprinted MultiKey key chain, please complete the details below.